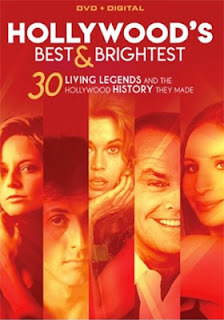 Mill Creek Entertainment has add the four-disc DVD collection (complete with Digital Copy) titled 30 Living Legends and the Hollywood History They Made to its Sept. 11 release slate. Carrying a priced-to-collect SRP of just $14.98, this unique collection features in-depth profiles on thirty screen legends — 15 female and 15 male stars. Included in the fan-pleasing mix are presentations for Warren Beatty and Faye Dunaway — famed for Bonnie and Clyde (among other films) — 007/James Bond legend, Sean Connery, filmmaker/actor Clint Eastwood, John Travolta, Jack Nicholson and Al Pacino. Also getting profiled are the likes of Shirley MacLaine, Ann-Margret, Raquel Welch and Barbra Streisand. Thirty in all!! !